Mensusa https://www.mensusa.com/articles/italian-blazer-pair-with-classy-alligator-accessories.html Italian Blazer- Pair With Classy Alligator Accessories Invest in an Italian blazer, as well as a few alligator accessories such as an alligator belt or alligator shoes, to show off your sophisticated style. The first thing you want to do when you decide to establish yourself as a fashionable gentleman is to decide which suits and accessories you will be willing to invest in. You will pay the price, but it will all be worth it when you are the best looking person in the room. An italian blazer is the next step on your journey to establishing your high-end and memorable style. 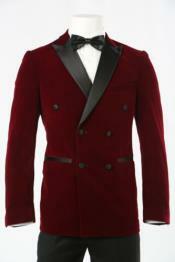 It has an elegant fit and look that other blazers do not have. You can wear an Italian blazer any way you want: with a tie or without, with a simple polo shirt or a more dressed up tuxedo type shirt. You can wear the Italian blazer to your interview, around town or the office or dress it up for your next formal event. Classy style is all about knowing how to put different items of clothing and accessories together to create a look no one around you will be able to forget. While the Italian blazer is the base of your sophisticated style and will look good if you choose the right fit and the style and color you want, do not just settle for the blazer and carefully tailored trousers. Take your look one step further and use brilliant accessories to finish out your look. Alligator skin accessories are meant to be accent pieces or statement pieces; they are very sophisticated items of wear and you should be mindful of how you use them. You will be taking a bold risk if you wear too many alligator skin accessories at once, so be mindful in choosing your accessories when dressing up your Italian blazer. The most important thing to note about your alligator belt is that it should always match the hue and style of your alligator shoes, if alligator shoes are the footwear style choice you are going for. The point of wearing the alligator belt, similar to the shoes, is for it to be seen, and if your belt does not match your shoes or any of your other accessories, you will draw plenty of attention to yourself, but the kind of attention you do not want from strangers. Since you are going for a classy look this season, you will want to continue the look with your shoes. If you are going to go all in with the blazer, you will have to do the same with the shoes. Discount alligator shoes are made of fine, exotic leather and will be a great addition to your sophisticated, classy look. Pair them with your Italian blazer for a sharp look that will label you as a serious businessman. You can find alligator shoes in the color or color combination, texture and style that fits your outfit. A darker pair of alligator shoes will go with just about any color suit or blazer with trousers. The beauty of an alligator skin wallet, similar with other fine and exotic leather products, is that when you invest in an alligator skin wallet, you are simultaneously making an investment in a fine accessory that will last you a very long time if you are careful with it. Because you are probably not going to be flashing your wallet at formal events (your Italian suit speaks loudly enough), you don't necessarily need to match your alligator skin wallet with your other accessories or your blazer. Go with the style and color you like when you first make a purchase and do not worry so much about whether or not it matches perfectly. More likely than not, no one else will really notice. The main takeaway here is that your alligator accessories are worth the investment, and if you have multiple accessories you can switch off each time you want to leave the house looking sharp. As long as you do not overdo the look and try to wear too many pieces of alligator skin accessories at once, you will be able to pair them with your Italian blazer and look amazing no matter where you are headed next. You can still look sophisticated without trying too hard. Investing in an Italian blazer means you are committing to the best kind of style out there, and if you are ready, go for it. Just make sure you are pairing that Italian blazer with the right amount and kinds of accessories so you look classy but not too flashy.